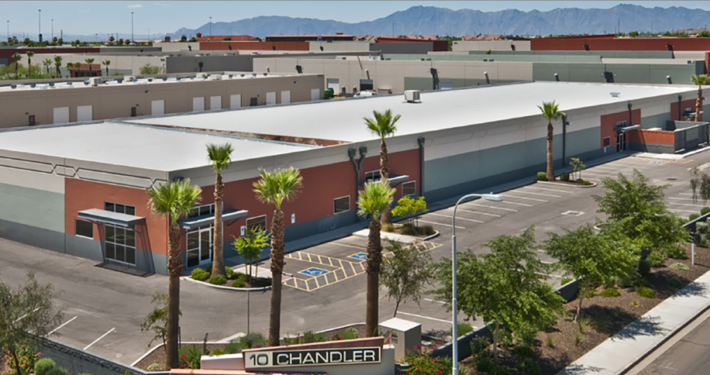 In a joint venture with global asset manager InvestCorp, ViaWest Group purchased 10 Chandler in 2018. The property is a nine-building, industrial/office flex property in Chandler, Arizona totaling over 550,000 square feet, and is situated along the I-10 freeway in a highly-visible location. Chandler is a fast-growing suburb with high-wage jobs, making it ideal for those who want to live and work in the same community. At purchase, the property was 89% leased with a strong rent roll, including multiple credit-worthy tenants. The plan is to continue to improve occupancy and rents.